Until February 14th, complete objectives to gather horseshoes and win prizes! There is no longer a puzzle to complete to gain prizes. You will get your prizes immediately, wether it is horseshoes or actual prizes. Like before, you can skip objectives with Black Market Items, or ask for help to complete them. 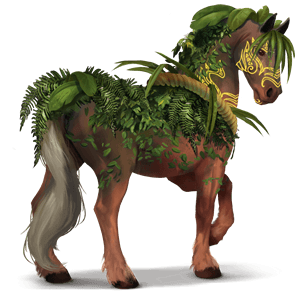 Haumia-tiketike is the newest addition to the Maori divines, and will be available in Golden Fleeces, or as the jackpot in the upcoming lottery. Haumia-tiketike is already available in the Golden Fleeces if you are a VIP member. Haumia-tiketike has a tiki you must fill with mana. To gain mana, you have to observe turtle nests. When the tiki contains 1000 mana, Haumia-tiketike will give you one Hera Pack. Golden horseshoes can be gained, just like with any promotion (although the info is a little unclear as to how you gain them this time? I will investigate further). Collect at least 2 golden horseshoes to participate in the prize draw, which takes place after the event, to have a chance to win Haumia-tiketike.